From the Editor. At the dawn of a new year we plan new endeavors, new ways to serve our Lord. So the mandate to be united in various ways with those of like precious faith should always be a fresh enterprise of the church. So, our Committee on Ecumenicity and Interchurch Relations represents the Orthodox Presbyterian Church’s efforts in this important arena. Toward that end Alan Strange gave a lecture at the United Reformed Churches in North America (URCNA) Classis Eastern US, “Semper Reformanda Conference” on October 14, 2014. In his article, “The Barriers to Ecumenicity,” he explores areas, mostly in polity, in which the URCNA and the OPC need to work as we seek unity. John Fesko reviews John Frame’s A History of Western Philosophy and Theology in “(Dis)Engaging our Reformed Fathers (? ),” in which he applauds the scope of the work, while questioning some of the methods and challenging Frame’s critique of post-Reformation dogmatics. Both the review and the book should prove intellectually stimulating. D. Scott Meadows reviews a new book on theological methodology contributed to and edited by Michael Allen and Scott R. Swain: Reformed Catholicity: The Promise of Retrieval for Theology and Biblical Interpretation. It is encouraging to see a renewed interest in theological catholicity from within the Reformed tradition, the benefit of which to the church has been underappreciated for the better part of a century. John Muether reviews Senator Ben Sasse’s The Vanishing American Adult: Our Coming-of-Age Crisis—and How to Rebuild a Culture of Self-Reliance. “[T]his book serves as a helpful primer on civic engagement for politically-charged Christians.” Sasse reveals that he is a citizen of two kingdoms and offers positive ways to recover mature adulthood. Along similar lines is Jean M. Twenge’s latest book: iGen. It provides detailed sociological analysis of the youngest generation to enter early adulthood. While trying to refrain from judgments, Twenge’s assessment is not optimistic in light of the smart phone’s unique dominance in the life of this latest generation. A word about reviews. There are many different kinds of reviews. My review articles purposely summarize the chapters seriatim. Having less of my own opinion differs from many review articles. My goal is to give the gist of a good book that busy church officers may not have time to read. I also do not ordinarily have books reviewed in Ordained Servant that I cannot recommend, unless there is a popular book that I think officers may need a warning about. Finally, our poem this month goes with our cover, “God’s Grandeur” by Gerard Manley Hopkins. “Biblical Principles of the Unity of the Church: A Reformed (Continental) Perspective – Part 1.” (James de Jong) 11:1 (Jan. 2002): 2–9. “Biblical Principles of the Unity of the Church: A Reformed (Continental) Perspective – Part 2.” (James de Jong) 11:2 (Apr. 2002): 27–32. “The Biblical View of Church Unity.” (Archibald A. Allison) 10:3 (Jul. 2001): 60–64. “On the Unity and Diversity of the Church.” (Herman Bavinck) 11:3 (Jul. 2002): 65–66. “True Church Unity: What It Is.” (Benjamin B. Warfield) 11:3 (Jul. 2002): 56–59. 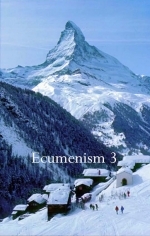 “The Unity of the Church in the Westminster Tradition – Part 1.” (W. D. J. McKay) 11:3 (Jul. 2002): 46–54. “The Unity of the Church in the Westminster Tradition – Part 2.” (W. D. J. McKay) 11:4 (Oct. 2002): 82–88. “All Ecclesiology is Local.” (Matthew W. Kingsbury) 11:3 (Jul. 2002): 60–61. “Charles Hodge on Presbyterian Union & Ecumenicity.” (D. G. Hart & John R. Muether) 7:2 (Apr. 1998): 35–37. “Perfecting Fellowship.” (John P. Galbraith) 7:1 (Jan. 1998): 2–9. “A Postscript to the Orthodox Presbyterian Church (And Others Who May Benefit) On Perfecting Fellowship.” (John P. Galbraith) 7:2 (Apr. 1998): 25–26. “Practical Ecumenicity.” 5:1 (Jan. 1996): 24. “Some Thoughts on the Practice of Ecumenicity.” (Bill DeJong) 7:2 (Apr. 1998): 27–28.